Archive for category Dave’s Rants, Ravings and Rambling. It is the off-season around here. It is the time of year that is especially frustrating for me as the weather is unforgiving, chilly and unpleasant at least until mid January so getting out for a paddle now and then is less likely. It is called the wet coast for a reason, and tonight it is wet with a hint of winter falling with each drop from the night sky. If it ain’t pouring rain it is blowing everything sideways with gales. Christmas on Salt Spring Island is almost always green instead of white, and well it is usually mud covered. Alas, this is home and though we only experience two seasons, wet and dry I would not want to live anywhere else. This year it is even more bothersome as I have entered the Yukon River Quest in 2016 and need to get into shape, (round is a shape, right). With all that hanging over my head and the rain falling on my cabin roof I can only resign myself to the days that are agreeable and get out running with my head lamp in my pocket just in case, and doing my nightly workout with the resistance band. It is also that time of year that I read. Reading like cooking relaxes me no end. Catching up on a pile of books both real and of the e-kind that have gathered over the past months with the climax being those rare finds discovered at the island’s annual Big Book Sale. Each year the Farmers Institute building that only a couple of months ago housed flower arrangements, prized tomatoes, baked goods, preserves and other Fall Fair whatnots was filled with tables of books, books and more books last weekend. The timing of the sale is no surprise. Right before the dark gloomy grey days and stormy nights of the west coast wet season when staying in with a good book seems the right thing to do. Each year, I go in with a budget and a short list of titles I hope to find. The budget inevitably fails to that need for the extra one or two or five books over and above the stack I am clutching at the cash desk and needed to survive the winter months. I have a job and it made me late for the first day of the sale giving me only minutes to browse, hunt, search and destroy before the 4pm closing. After that I was off to the ferry for a weekend in Victoria. This was my only chance to get the damn books. How can anyone be expected to enjoy the experience of book browsing with the clock ticking. So, with the fervour of a game show contestant I ran around the hall. I have the same target zones each year beginning with the cooking section and ending on the opposite side of the building with a long stop in the outdoor adventure and travel bins with a brief stop in classics before I go. This year it was about finding treasures to give away at Christmas. My own book stacks near toppling and to be honest I could not find a book that caught my attention and even sadder still, all the books available I have already read. Not daunted I went about my mission to find the titles and some I did not even think to find always end up in my pile at the cash counter in the end. I did good this time around and I did manage to find one for myself. My stack will surely topple now with that one added book. The point of all of this is not complaining about bad weather, my increasingly bigger battle with seasonal affective disorder as the months grow into the deeper regions of winter’s all too long drive to the first crisp mornings of spring. It is not even about mud, the lack of kayaking time, or all the rain. It is that a book, is a gift. It finds its desired owner. One never lends a book, it has to be given as inevitably you will not get it back once it leaves your hands. Well, not always. I met a man who would eventually become a friend on the day he arrived on the island. He was an acquaintance of a mutual friend and we chatted by the dock in town. His connection to me was through this friend who had leant him a book. He wanted to return it. When he told me the title I laughed and said that I had originally given it to her to read over a year ago. He handed it to me saying then it was officially returned! “Did you like it?” I asked. He did indeed. Now in a round about way I get to the real point, a story I was told this past weekend about another book and the powers of the universe that must be looked at for what they are. I met, rather randomly a friend when I was wandering the streets of Victoria doing some early Christmas shopping. He is the younger brother of a guy I went to school with and we all grew up on the island. It was nice to bump into him though I noticed we had both begun to go grey. We stood in Value Village, I on the hunt for anything that fit me and he for treasures of another kind. We chatted for a time and he confessed to falling on hard times but taking it with a positive attitude and leaning back on a hobby that could potentially pay the bills. Professional treasure hunting. Finding finds no one would look twice at and only to discover the occasional valuable item misplaced or mistaken for not. He took me through his routine and looking in a small magnifier to take a closer look at inscriptions and stamps on the base of cups. He gave me a short lesson in treasure hunting and as he did so told many stories of lucky finds and one about a book that could have held a different path for him if he had only paid closer attention. Here’s the thing gang, I am an atheist and a proud one at that. I don’t go for it but at the same measure don’t hold it against anyone who does necessarily. All I ask is that they don’t go overboard with the beliefs and hold true to the higher values and avoid reading anything more into the words. To be honest about it all, to not be trite, hypocritical or maddeningly violent. We see everyday the results of that. I stay clear of it all and those reasons are my own. I lay out his disclaimer of sorts because his story of a book leads immediately to the idea that there was a higher power at work during the experience. I leave it for you to decide. His story is this. Years ago he was on the streets, yes another bout of hard times had befallen him. I judge not as that edge to the abyss it seems we are all only one paycheck away. It was during this time of living rough outside that he found himself outside of the downtown Salvation Army thrift store rummaging through bags of belongings donated after hours and left under the sign stating clearly the hours that donation of goods were accepted. It was after one in the morning as he sifted though boxes and found a big book. A thick, truly heavy and finely leather bound and it was a Bible. See, the what was the first thing that came to your mind at reading that word? Bible, it has a lot of baggage attached making the book even heavier. I admit at this point in the story I thought, oh no here we go. God talk. He swung away from that to continue telling me how he opened what turned out to be a first edition (I quipped that it was written by the man himself) King James Bible. He was only just learning the treasure game back then but did know what to look for to authenticate the book for what it was and he thought it would be worth a little bit as it was in good shape. He thought about it for a time but in his homeless situation the idea of lugging such a cumbersome object, even for a short time was out of the question. He reluctantly tossed it back into the box from whence it came and when it fell some of the middle pages folded and were permanently creased. Some time later, he was reading the local paper. Yep, you guessed it. Someone else discovered the find and the Bible sold at auction for a very large sum of money and would have fetched a higher amount if not for the folded pages. In one moment, in that one night his entire situation could have turned around. Even at half the auction price it would have taken him off the streets in one flip of a page. Was something looking out for him? Was the universe giving him a gentle nudge in the right direction. Who is to say. Not me. Random chance, put that Bible in his hands. Laziness took it out of them according to my way of looking at things. Putting the prize in his hands only to watch him toss it away. well if there is a God would that have pissed him off somewhat? Humans, why bother? Is it too late for a second flood? If it keeps raining like this all winter there may be a chance of that. We live, we learn and sometimes we have to take a second look in that bargain book bin of life before we get it. “Hey Dave, I put a beer in the creek at Hudson Point for you, but you can only have it if you beat the time that Blake and I set in the double.” shouts Gus across the Trincomali Channel as I plough my way up feeling the back lash of each stroke through the paddle shaft. There was a beer in the creek, chilled and wet and lovely and mine, if only I could find the energy after over 10 hours of non-stop paddling around Salt Spring Island on a warm Easter weekend. If only I could muster the power to paddle the last 4 kilometers to the spot that I launched from at just before 6:30 am that day. He was fresh, after only an hour of paddling leisurely and I was bonking. At the distraction in meeting up with him on the last leg I realized one big mistake I was making. I forgot to keep eating and drinking. I was running low and should not have let my eagerness to keep up with my friend who was a finisher of the Yukon River Quest foil what was to be still a brilliant and successful day on the water. A lesson learned that I will always keep with me. Ego, and apparently the promise of cold refreshing beer at the end of a long day nearly took me out altogether. I did make it and somehow during that last stretch found the inner something to pick up my pace just enough to beat his best time in a tandem by a whopping 3 minutes. Not much, as slim margin at best but it did tell me that I was paddling fast enough to keep up with a duo in a kayak. Eleven hours, seventeen minutes and another five searching aimlessly for the beer carefully hidden behind a streambed stone, I was home. Oddly enough, ten minutes later I was feeling like I could do the day all over again. Was it the beer, or the adrenaline or both? Either way I was ready to get in the kayak. I felt immediately encouraged by this sudden full-bodied enthusiasm to continue. 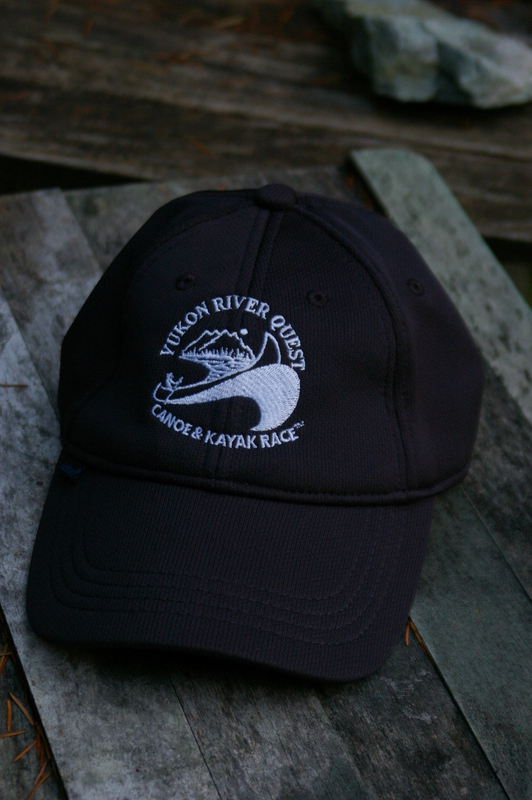 The River Quest dream started that night and the following day as I hiked up Mt. Erskine to a favorite spot overlooking the beginning of the narrows I had paddled less than 24 hours earlier. The weather had changed. The calm slot towards Burgoyne Bay where I so easily glided was now frothing and white-capped. I picked my circumnavigation day well it seemed, but then I thought again and wondered if I could have managed a second rotation around the island in tougher conditions. Nearly the same distance would be what I faced on the Yukon’s famed Lake Leberge notorious for squalls and wavy conditions. Today, I sit sipping a cold beer after work and the anticipation of the weekend approaches as does that River Quest dream. On Sunday the registration for the 2016 edition of the paddling marathon on the Yukon River opens and I hope to be one of the first to enter. I will be at a family event so it will be done among supporters and well wishers. Upon completion of the registration I will be allowed to do something I am told by Gus who yet again placed a carrot on the stick for me. If I register, I can wear that damn hat! I hope that he will be holding it for me when I arrive at Dawson City, tired, sweaty, accomplished. In a week the registration for the longest paddling marathon on the planet opens and I will be one of the first to sign up. Call it a bucket list item, a midlife crisis gone off course from fast cars and dating inappropriately aged women. Tell me I must be nuts to even think about entering the race. I would reply, a little of column A and a little of column B. In the past couple of years as I really began to put some serious thought about paddling the 715 km distance between Whitehorse and Dawson City also known as the Yukon River Quest (the Quest) some have questioned why do it at all. “You could just paddle the river as a holiday adventure.” as an example of the most common response to my crazy scheme. I have to say to that, it will be a holiday. 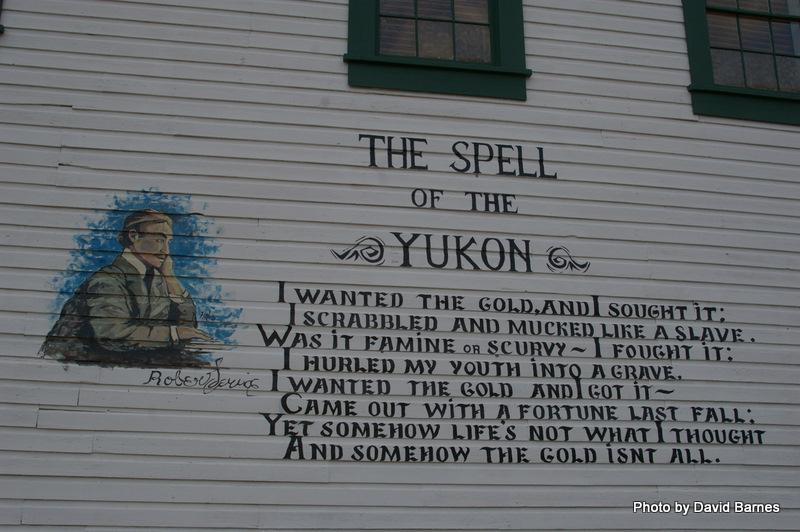 I love road trips and the last one I took to the Yukon is a long story for the telling later on down the road. But I was hooked by the place, and especially the people I met along the way. And it is an adventure. The whole point is not whether or not I manage to stagger to the finish line, or fail to make it even to the first rest stop. That is the meaning of adventuring. If there was no question of success, a guarantee of completion without hardship or personal trials then why bother. So the naysayers I challenge you to go with the flow and accept that I am rather bent and willing to subject myself to long hours in a kayak, wildlife at every turn in the river, a growing tiredness and the need to pee. During which I will meet people and witness wilderness from the unique perspective of a kayak that I will never un-see for the rest of my life, and sensations I will never un-feel for the rest of my years. I will face demons and doubts along the way. I have great people backing me, morally and physically. My support crew is a good friend who has finished the race several times. I trust him without hesitation and that only leaves the paddling to me. And though I know I will not be as competitive as he, I know he will get me as far as my body and mind will take me. I made a random contact on the ferry the other evening with a fellow who knows the river well and lives in Whitehorse. My team grew by one more as his knowledge will get me a long way. I have a lady in my life who felt that kayaks were death traps but after an afternoon in a tandem kayak with me this past summer she began to see why I do what I do. Although she may quietly think I am bonkers but is coming for the ride nonetheless and will love me no matter how bad I smell by the end. I hope. Now the hard part. Training time. Today I strapped on the runners and went for a gasping, wheezing run but know that I will find my pace again and get back into fighting form for a long haul. “You could just paddle the river as a holiday adventure.” will come into my head at some point along the long crazy river sometime around Canada Day next summer. I will face that one when I get there. I don’t have a photo to post for my blog. Not one that any of you can see at any rate. The picture is forever seen in my mind’s eye and there it sits until the last breath I take. What I would call a Zen Photo. If I am lucky, my faculties will sustain me to that last breath and my encounters with wildlife that were left forever unrecorded by my camera will linger and entertain me as the lights of this life go out. With even more luck, that last breath will be some long time from now and I will have ample opportunities to see amazing things on those days that for one reason or the other, I have been traveling in nature without my camera. I don’t regret the images not seen on my laptop screen due to the fact, either that the animal was out of range, the lighting was wrong, it caught me by surprise (this happens more often than not) and I didn’t have the speed at hand to get the camera set and ready to capture the encounters. Or simply, as with the past weekend not bringing the darn thing with me at all. This was when the resident pod of orca put on a frolicking show near the entrance of Active Pass on the Georgia Strait side of Galiano Island as I rode the ferry back from Vancouver. They must have know there were tourists on board because the pod pulled out all the typical stops for a whale show that one might see if unfortunate enough to pay big buck to see captive whales doing their best to entertain us in small tanks. The pod came close to the ferry and began leaping high out of the water. Breaching, spy hopping (a vertical rise from the water like a submarine’s periscope) and both tail and flipper slapping and splashing. All this was being done as the sun was low and casting glittering sparkles on the water. My seat on the ferry was hot, I had picked the wrong side of the boat to sit and in my sudden tired state could not find the will to move to the port side and out of the direct sun. I sat, sweating, reading my book and half-ease dropping on the three young women seated in front of me. I am old enough to know and recognize that these three thought they were cooler and cool, alternative to an extreme and sadly, that look had been done before. Nonetheless, they prattled on, piercings and attitudes glinting in the sunshine as each made passive aggressive commentary in response to what ever one of the others had said. This went on for some time, to the point of becoming annoying. I had found inner strength to move to the other side where I would be free of the uber cool and find some shade. The announcement came over the loudspeaker that we were in good luck as there was a large pod of orca dead ahead. I gathered my stuff, put away my book and spilled my coffee on my last clean shirt in a hurry to get outside to the deck railing to watch the show. As I got up I heard the lead girl speak. “I have seen whales before, nothing new here.” and so they stayed. Her two companions fixed in their seats under the weight of peer pressure. I shook my head and ran outside to find my joy. I did, and had I looked back into the glare of the window opposite where the girls sat, I would have seen them all, face down, scrolling through all too important Facebook junk. Whales, shmailes. I buried the sadness I felt for them, those poor too cool for words soulless creatures. I instead stood, bag over my shoulder clutching the un-spilled remainder of my cup of coffee watching in lovely awe the twelve or more young orca at play. I cast an eye to my right and found a woman, maybe somewhat older than I but not by much standing watching, tears running down her cheek. I hesitated to interrupt the rapture but made a small comment about the show at hand. She had never seen anything wild, and so close. I was stifling my own usual emotional response to encounters of the like. I never bore or tire of them. I choke up and smile so hard my face hurts for an hour afterwards at seeing a bear, or wolf or so many whales from the seat of my kayak. I mentioned an encounter I had in Johnstone Strait a few years back. The woman gave some interest but I knew I was intruding and fell silent. Her eyes closed, the sun bathing her face and dried tears. It takes time to fully develop a Zen photo and that was exactly what she was doing. Kayak camping in the Southern Gulf Islands is plentiful as the entire chain is part of the Marine Trail system. Though, my home island of Salt Spring Island lands in the middle of all of that, it does not offer much in the way of easily accessible locations to spend a night or more while paddling. Ruckle Park at the south end of the island is suggested in many guide books but as a local I would be hard-pressed to attempt a landing at the camp ground. Constant wave action created by passing motorized pleasure craft and the BC Ferry fleet traveling back and forth in the channel and the rocky shoreline all combine to make for a tough launch/landing situation. A small area on the west side of the island near Musgrave Landing is a sweet spot and included now in the trail but easily passed if you are not sure what to look for. 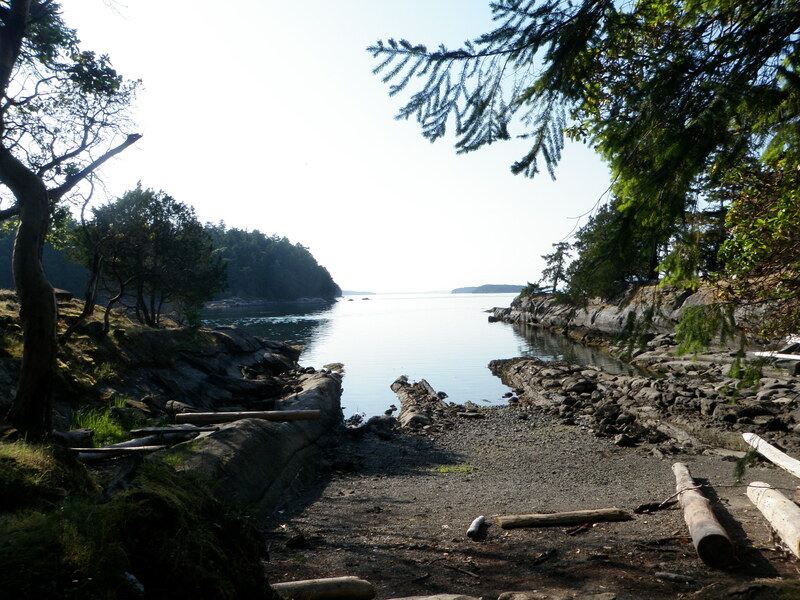 That said, the islands surrounding Salt Spring are incredibly attractive for paddle camping trips, and I have included a few posts about them in the past. Within an hour in any direction you will find something and somewhere to raise your tent. 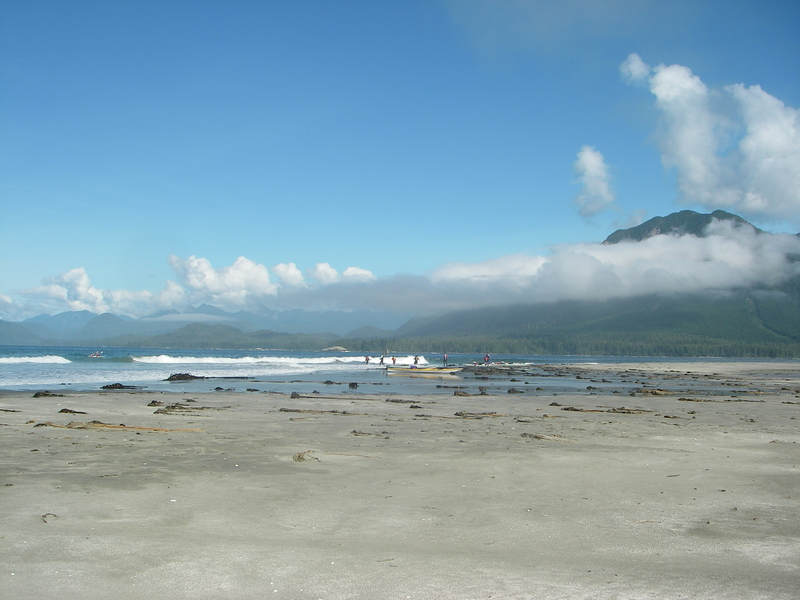 One such island is situated on the eastern side of Salt Spring, in the middle of Trincomali Channel called Wallace Island. It is a long ridge of rock covered in eagle-nesting trees, seal colonies, mink, otters, and raccoons (which I will talk about later). The island has a colourful past and a book written about Conover Cove, which is a favourite anchorage for boaters, David Conover’s Once Upon an Island highlights that past and a great read! The island has camping space available on the grass at Conover Cove amongst the old buildings, but the best spots are to the north at Chivers Point and around the shady side of the island at Cabin Bay. 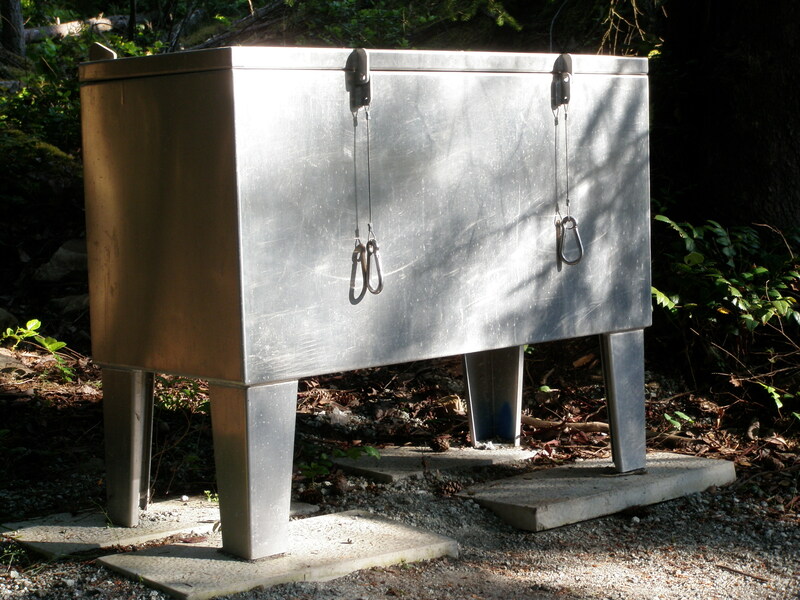 I have camped at both locations in the past during multi-day paddles around Salt Spring. Chivers Point has many raised tent pads, an outhouse a short hike up the island-long trail and one of the best scenic places to sip a glass of wine with dinner and admire a sunset. Cabin Bay on the other hand has only two pads close together at last count, making this a good place for a close group to set up camp. An outhouse is a short hike up the hill and though more secluded than Chivers or Conover, Cabin Bay loses the sight faster. No sunset viewing here but a background of the eroded cliffs of Galiano across the remainder of Trincomali Channel and a very accessible landing, and sweet spots to sit with dinner with that glass of wine and maybe a book. I admit it has been some time since I stopped to get out anywhere on Wallace as I use the island as my weekly evening paddles as the boat ramp at Hudson Point just a kilometer beyond the Fernwood Café is close to home. However, on a recent evening when I decided a picnic dinner was in order I pulled in at Chivers Point as a half way mark. I was surprised to see a few changes and one in particular was something I joked about on previous camping outings. ‘The racoons are so bad and bold here that they should put up bear caches’. And so they did. A large aluminum box has been installed to protect your food bags from those pesky bandits that have more than once been seen ripping off my cockpit cover searching for any goodies. They are unafraid of us and plentiful on Wallace. The other change was the removal of the old rotting picnic tables, including one that always seemed to be moving around on its own four feet to various locations around the campground. 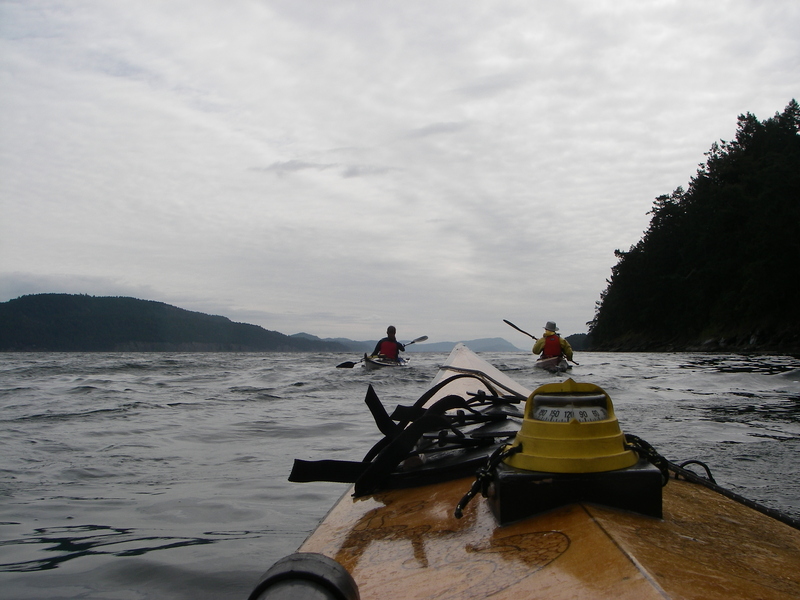 Wallace is an ideal paddle destination from Salt Spring Island. With so many jumping off points such as Hudson Point, Southey Point (ironically located at the north end of Salt Spring) at the end of Arbutus Rd. As well as potential for longer days by launching from the town of Ganges or Long Harbour. 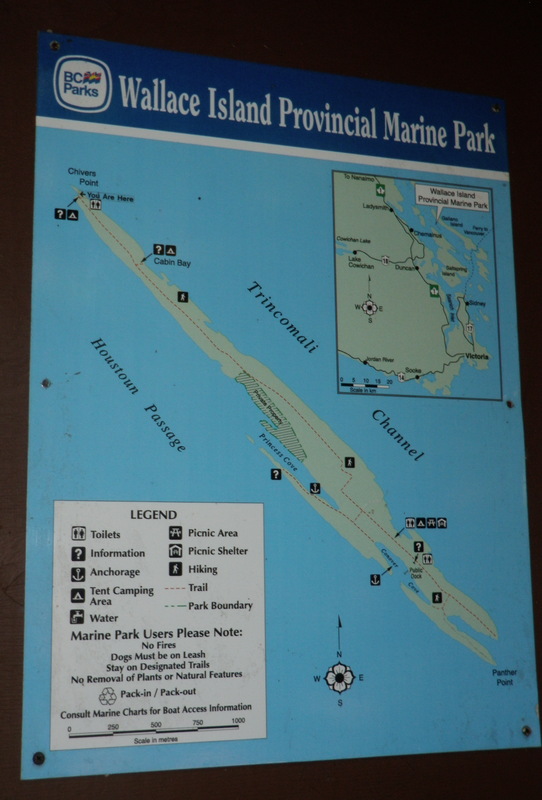 From either Hudson or Southey Points getting to Wallace requires a short crossing of the Trincomali Channel. From Hudson to the island it is about a 15-20 minute paddle, and from Southey Point closer to 45 mins to an hour, island hopping to Jackscrew and then South Secretary Island. A seal colony resides between those two islands so enjoy the playful and curious seals but remember to also give them ample room and respect. I always carry a spare paddle when I go out for a day, a week or an hour of kayaking. So far I have not needed to pull it free of the bungee cords behind my seat and hope never to be in that dire situation of a busted/lost paddle. Last week was the first time in months that I was able to get on the water for consecutive days. A couple hours each evening after work to relax, chill out and decompress from life on land. The conditions in the Channel were the same each evening. Calm at first glance but by mid-paddle the south easterly winds picked up and gave me a taste of Mother Nature’s resistance training as I worked against the rush of incoming tide and a strong head wind. Most would grumble, complain at this fate but I relish it as the first part of the evening was with all of the above in my favour. I believe there must be Balance in everything, even dinnertime paddle session. As I worked my body and in doing so managed to calm my mind during the extra kilometer-and-a-bit it requires to paddle one more mile for Glickman (in Canada we have to do the metric conversion). 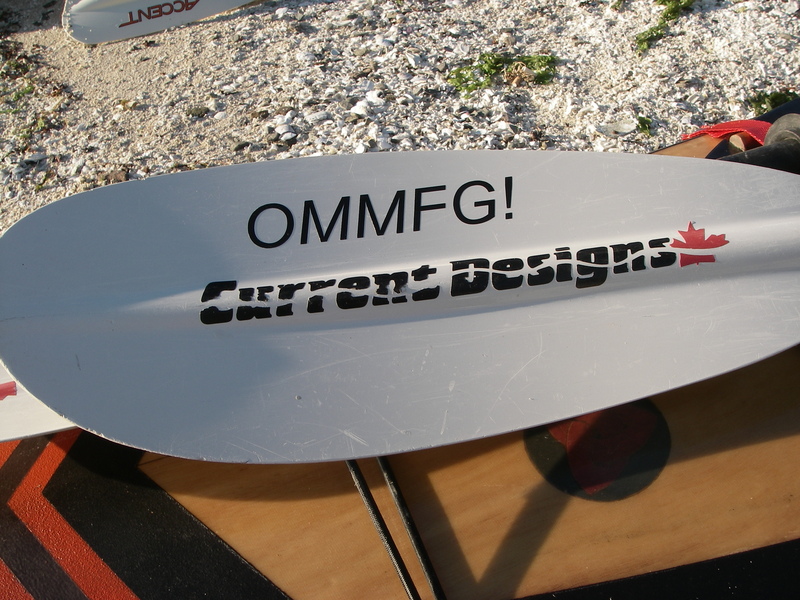 A ‘OMMFG’ sticker starkly appears on my spare paddle. An encouragement and inspiration campaign that sprung up for Joe Glickman, writer and paddler who at the time was dealing with cancer of the pancreas. That extra bit of paddling that I have been doing in his honour had some unknown but substantial unworldly meaning on this particular paddle session. Because while I paddled onwards with a face full of warm May wind swirling up the waves Joe had passed away. The outpouring of love and affection towards him in recent days on social media is testament to the man and his quality. I sadly, had not had the opportunity to meet with him in person. My connection with Joe was only in emails discussions about writing and kayaking. This began by happen chance as someone directed Joe to my review of his book Fearless, chronicling endurance kayaker Freya Hoffmeister’s unsupported solo trip around Australia. Out of the blue I was contacted by Joe and a conversation grew. It didn’t take long in those short notes back and forth for his humour and true character to shine through as we chatted about his bucket list idea of paddling around Vancouver Island. I gave him as much intel as I had about my part of the world and of course the local backyard waters of the Southern Gulf Islands. I joked that the beers were on me when I would join him for the section of kayaking from Victoria through the Gulf Islands and as far north up the east side of the island as I dared go. We never met, we never had a chance to share a few days on the water enjoying a common passion. I feel the loss even though he and I we only acquainted ever so briefly over the interweb. This sensation only elevated by the sharing of memories on Facebook by all that had encountered him on and off the water. I can only hope to live in such a way that when my last paddle comes up that I too had managed to touch so many in a positive manner. So Joe, where ever you may be paddling right now, I hope there is a good sea side pub. Have a pint on me. I will pick up the tab at a much later date. You are currently browsing the archives for the Dave’s Rants, Ravings and Rambling. category.